Please do not leave valuable goods (especially electronic ones) in your car: a free cloakroom is at your disposal at the conference area. Take the E17 until the Kennedy Tunnel. After the Kennedy Tunnel, take the E19 until the exit Merksem-Kaaien 1-199. Turn right onto Groenendaallaan, and then continue straight to Kinepolis Antwerp. Take the E19 direction Antwerp. Once on the Antwerp Ring, take the exit Merksem/Kaaien 1-199. Keep right at the fork, turn right on Groenendaallaan and then continue straight to Kinepolis Antwerp. Take the A12 until the junction with the E19. Then follow the E19 and take the exit Merksem/Kaaien 1-199. 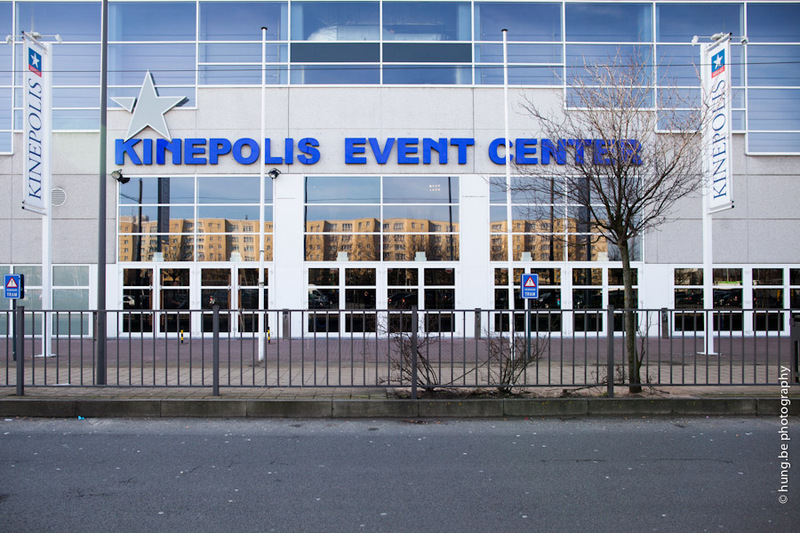 Turn right onto Groenendaallaan, and continue straight to Kinepolis Antwerp. De la Gare Centrale, vous prenez le tram/​​métro 6 avec direction “Luchtbal”. Ce tram/métro s’arrête en face de la porte de Kinepolis! Please book your accommodation at corporate rates: CROWNE PLAZA ANTWERPENADDRESS: A. Gerard Le Grellelaan 10, B-2020 Antwerpen GUESTROOM RATE (BREAKFAST INCLUDED): 11 October 2015: 109€ VAT incl. 12 October 2015: 119€ VAT incl. The above mentioned rates are per room, per night, inclusive of VAT, services, taxes, free WiFi and complimentary use of Pool & Wellness Centre ́Octopus ́. 2.39 € City Tax per person, per night excluded. In all rooms you will find complimentary coffee and tea facilities and a small bottle of water. The American Buffet Breakfast is included in the room rate. To book your accommodation at Crowne Plaza Antwerpen, please click here by the 25th of September 2015.NOVOTEL ANTWERPEN NOORDADDRESS: To Luithagen 6 B- 2030 Antwerpen GUESTROOM RATE (BREAKFAST INCLUDED): 11&12 October 2015: 89€ VAT incl. To book your accommodation at Novotel Antwerpen Noord, fill this form and send it by the 27th of September to: Eline Vandenberghe at H0465-RE@accor.com MERCURE ANTWERPEN CENTRUM OPERAADDRESS: Molenbergstraat 9-11, B-2000 Antwerpen GUESTROOM RATE (BREAKFAST INCLUDED): 11&12 October 2015: 114€ VAT incl. To book your accommodation at Mercure Antwerpen Centrum Opera, please contact Ms Koot Ilana at 32 (0)3 222 90 90 or at groups@demahotels.be, mentioning the group code “Tradinfo Antwerp” by the 5th of October 2015 HOLIDAY INN EXPRESS ANTWERP CITY-NORTHADDRESS: Italiëlei 2a, 2000 Antwerp GUESTROOM RATE (BREAKFAST INCLUDED): 11&12 October 2015: 99€ VAT incl. To book your accommodation at Holiday Inn Express Antwerp City-North, please contact Ms Annelies Van Eynde at reservations@ hiexantwerp.com, mentioning the group code “Conferentie Tradinfo” by the 18th of September 2015.